"Medical errors are more common than you might think. 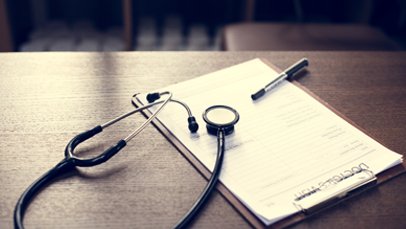 If you or your loved one are dealing with a serious health situation, especially one that involves multiple medical professionals and methods of treatment, you are more likely to become a victim of a medical error." 10 percent of all U.S. deaths are now due to medical error. Third highest cause of death in the U.S. is medical error. Medical errors are an under-recognized cause of death. Receiving a diagnosis of a serious illness can be an overwhelming experience. As a patient you are likely to be distracted and miss hearing important information. As a patient advocate and healthcare liaison at ABC FOR YOUR HEALTH, we will gather that information for you and ask the questions that need to be asked so you can make the best decision for your health and well-being. There are many barriers to good communication in the doctor-patient relationship. One of the main barriers is when one patient is being cared for by several doctors at a time, and who don't always communicate with each other. As your patient advocate and healthcare liaison, we will ensure proper communication and coordination between all your healthcare teams, including the patient and their caregivers, so that together, we can establish a well-designed plan of care. "Medical errors are more common than you might think. If you of your loved one are dealing with a serious health situation, especially one that involves multiple medical professionals and methods of treatment, you are more likely to become a victim of a medical error". At ABC FOR YOUR HEALTH, LLC, we help you maintain a current list of all your medications, including prescriptions from your primary care provider, your specialists and hospital visits, as well as all over-the-counter medications, to prevent medication errors happening to you.